We are Cap of Pearland. Our address is 2800 East Broadway, Ste #402, Pearland, TX 77581. Our email is capofpearland@gmail.com. 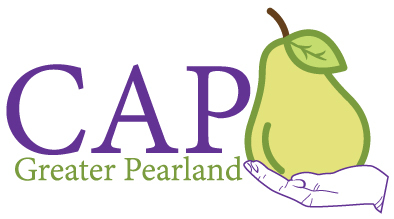 Our website address is https://capofpearland.org/. We store user input data sent through the contact forms on this website, along with meta information about the submissions, including the time stamp, the origin IP address, and the user agent (browser). They are stored through the plugin Caldera Forms. This information will be stored indefinitely and will be used for reference in the event that an email does not reach us due to mail server issues. If you want your information to be removed from our database, please contact us. We will remove it anytime there are concerns about your privacy. We use Wordfence Security to capture live traffic data including meta information such as ip address, user agent, location, and time stamp. We share your meta data with Google Analytics and Matamo (Piwik) to help with SEO purposes. Stripe is our payment processor and your personal information is required when paying through their website. Visitor comments may be checked through an automated spam detection service. To ensure privacy standards are met, we only have a select few with access to personal information. We make sure that the standards are met ourselves. To ensure privacy standards are met, we only have a select few with access to personal information. We have SSL encryption to ensure that no personal information is leaked. We will inform all people who has had their personal information stolen with undue delay with a maximum of 72 hours. We keep a record of all personal data breaches.